Why can't I start a broadcast? If you are unable to start a broadcast you may see one of the following pop-up messages. 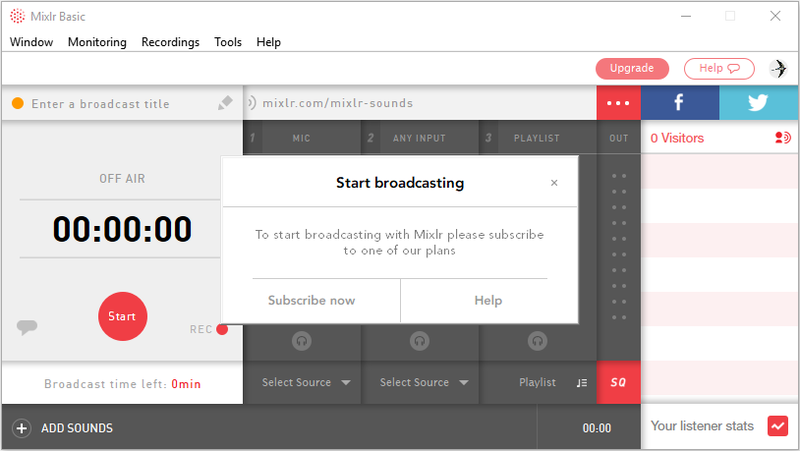 In order to broadcast with Mixlr it's necessary to have a subscription. You can use the 'Subscribe now' link in the pop-up box to visit our price plans page. If you are new to Mixlr then we'd recommend starting with a free two week trial. This article will help you with how to sign up for a trial. If you have already created a Mixlr account but you haven't signed up to a trial, contact us here and we'll be able to set this up for you. 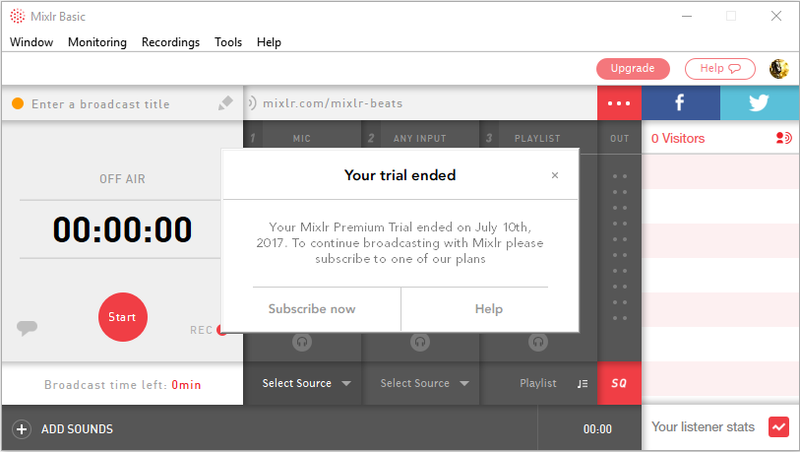 If your trial with Mixlr has ended you'll see this message. Once your trial is over, if you want to continue broadcasting you'll need to subscribe to one of our plans. If you see this message there are several things you can check. Connection lost - check to see if there is any issue with your local internet connection. Bandwidth issues - low bandwidth can stop you from broadcasting. See this article for more information. 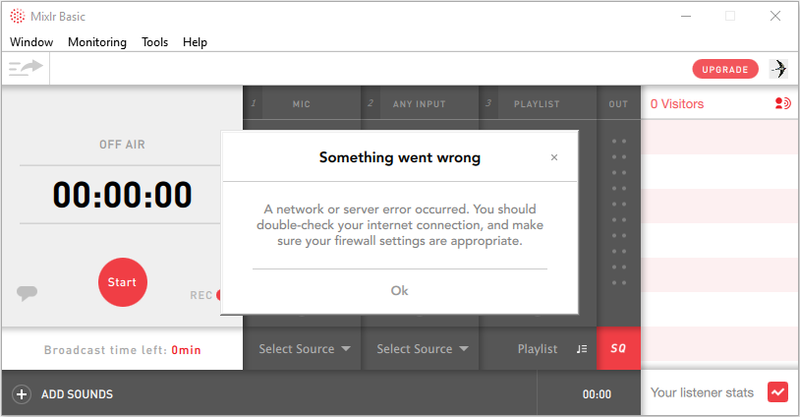 Firewall - your firewall may be blocking your connection to Mixlr. If you think this is the issue, whitelist '*.mixlr.com' to allow all the URLs which we need to get through. The ports that need to be opened are ports 80 and 443. You may also see this message if you have an older, unsupported version of the Mixlr desktop app. You can update to the latest version of the Mixlr desktop app here. If you're still having issues with starting a broadcast and none of the above suggestions help, contact us here.